This has been my signature style all summer long. The twists have really helped my hair grow! 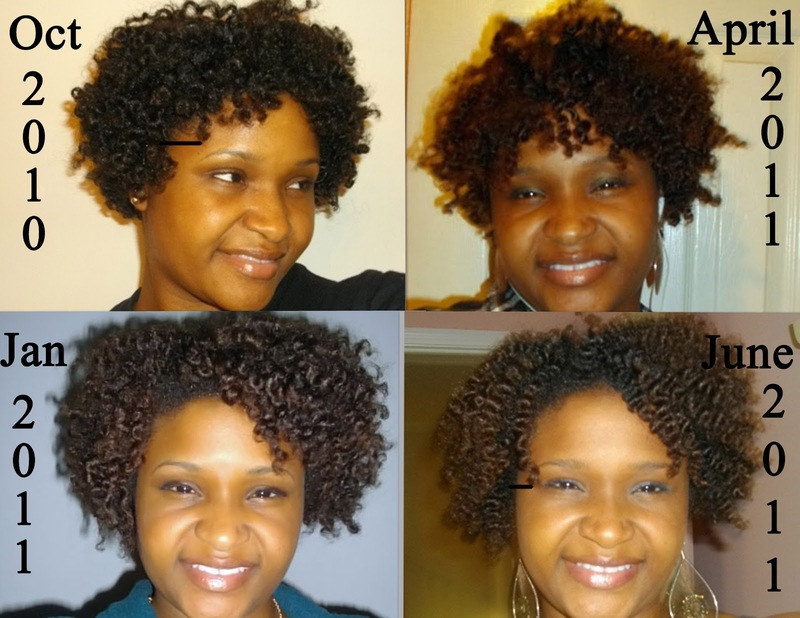 In this style, I used Organix Coconut Milk Conditioner to co-wash and Komaza Care's Califia Care Leave-in. 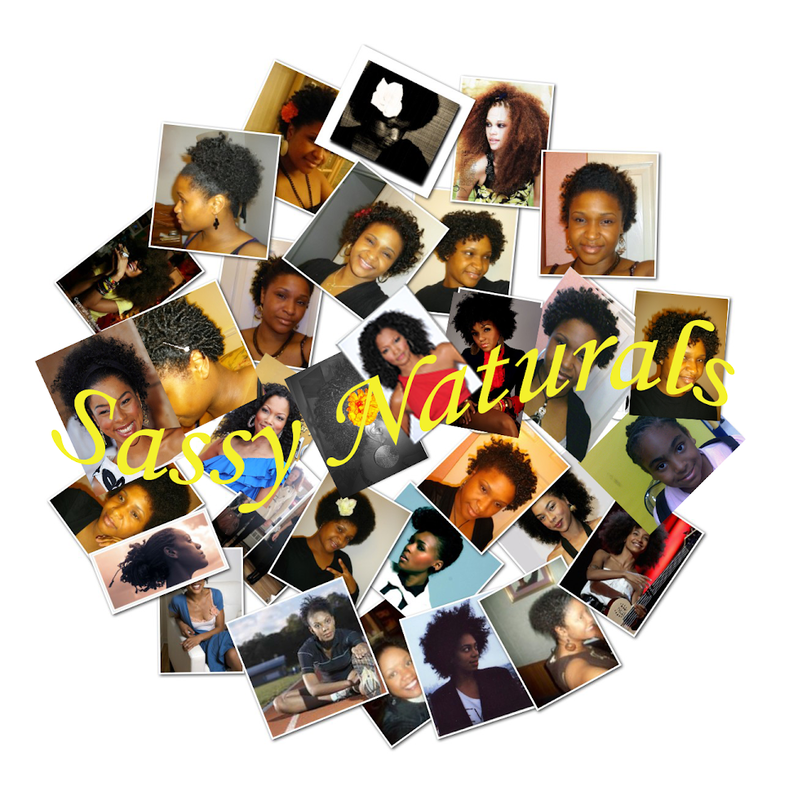 I also used my rose water/glycerin spritzer to dampen hair when needed, and applied Afroveda's Shea Amla Whipped Butter Cream on my ends when twisting. The flower was purchased from Sally Beauty Supply for $1.90! 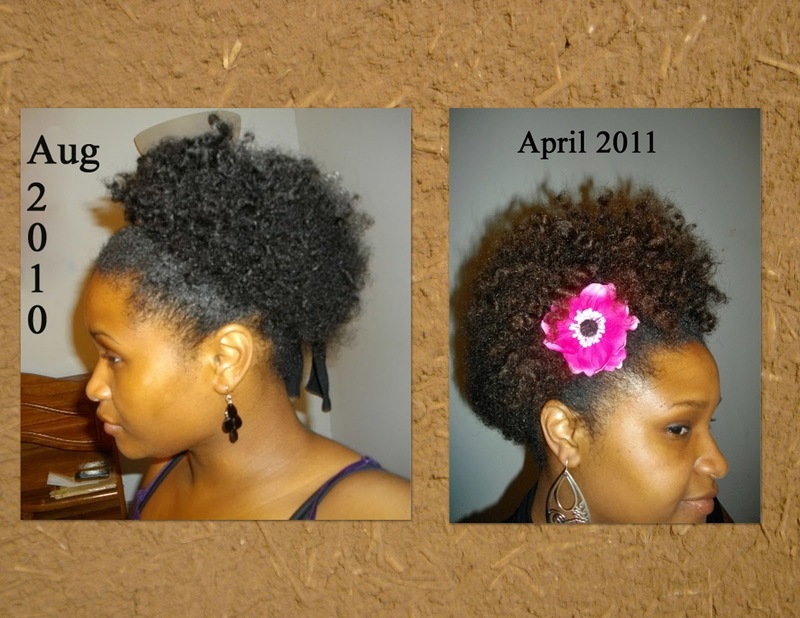 In the pics below the growth is not that obvious. I placed lines to depict the growth. Of course you have to give in account shrinkage. 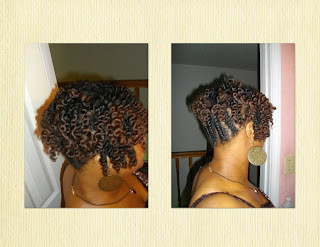 Nevertheless I'm progressing towards my goal of shoulder lenghth hair with shrinkage! 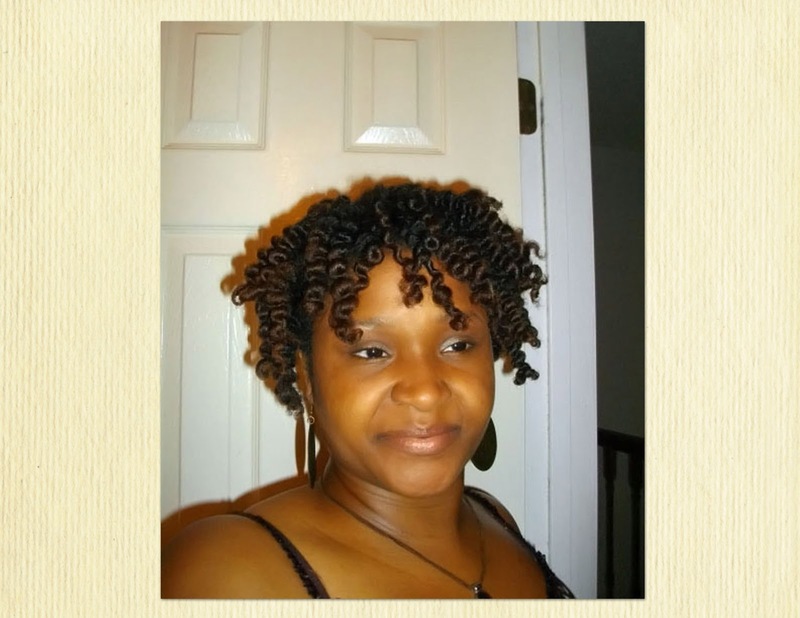 I sectioned my hair into two sections. Front section I did two strand twists. 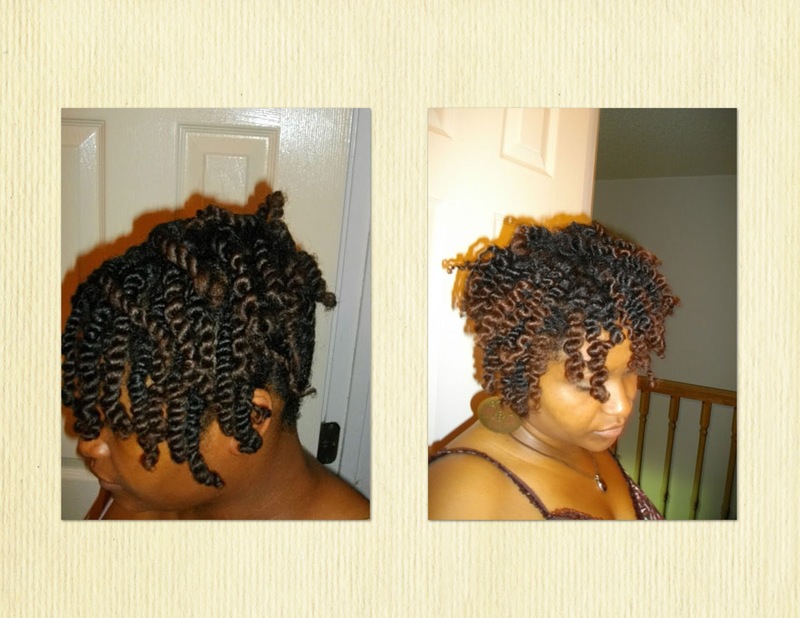 Second section I did flat twists (got to get used to twisting from the back). You can wear this style with the twists for awhile and then take them out for the "twist out".